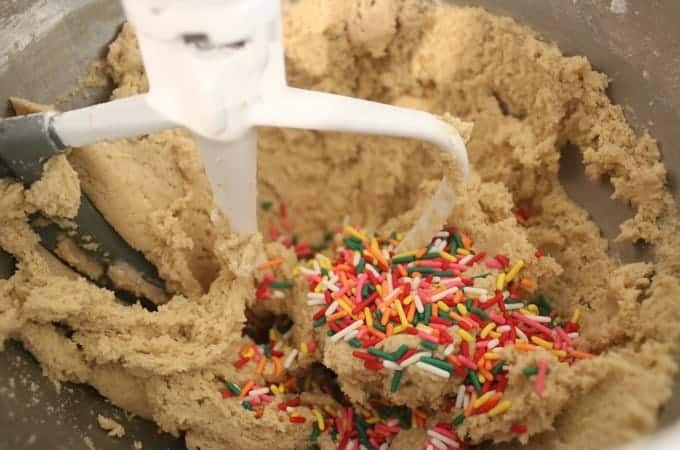 Love Sprinkles and Cake Batter flavored anything? 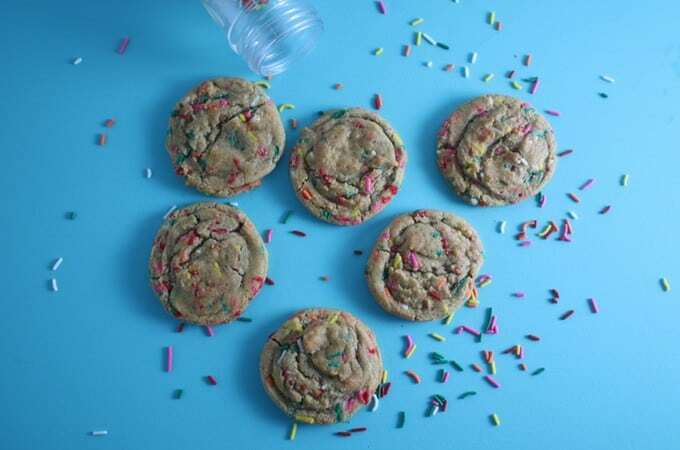 Make these chewy, buttery, and full of vanilla Rainbow Sprinkles Cookies! One of my favorite flavors is sprinkles birthday cake or cake batter flavored anything, it just brings me back to my childhood. 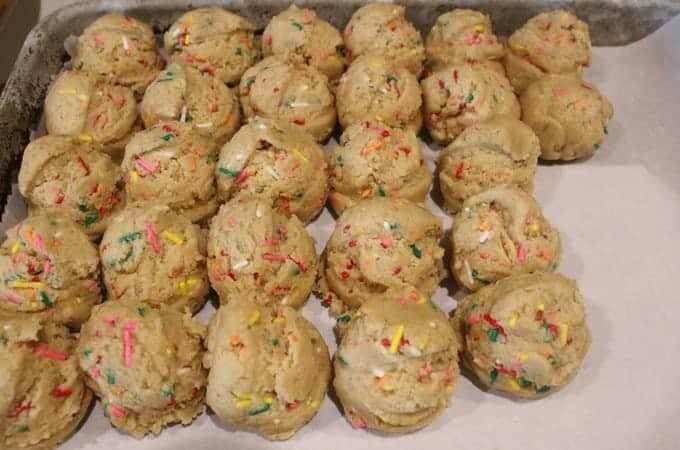 I first made rainbow sprinkles cookies with my daughter a few years ago. 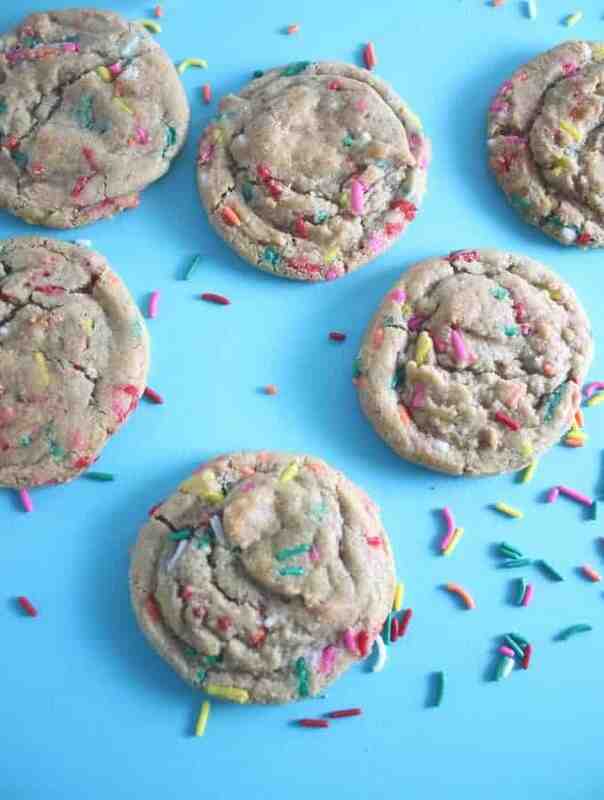 However, after playing around with my chocolate chip cookie recipe I finally nailed this sprinkles cookie recipe. I have to warn you, these cookies are addicting! I have made them about 3 times already and now I am officially updating my recipe and pictures for all of you. 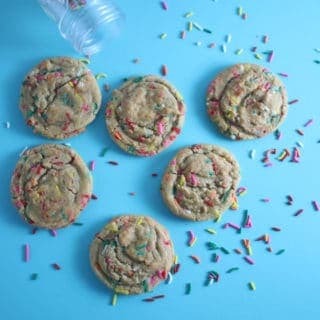 These sprinkles cookies are chewy thanks to using bread flour and additional molasses, buttery, balanced in sweetness, and full of sprinkles! Looking for more birthday flavored treats? Lightly tap after baking and Enjoy! In the bowl of stand mixer fitted with the paddle attachment. 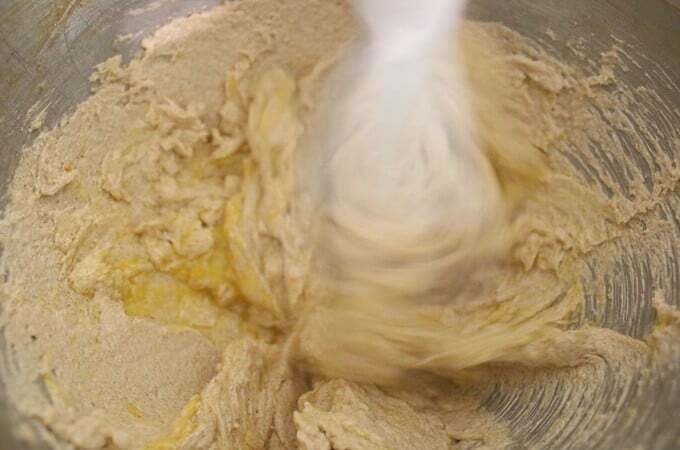 Cream together the butter, brown sugar, vanilla sugar, salt, and molasses on medium speed for 7 minutes. 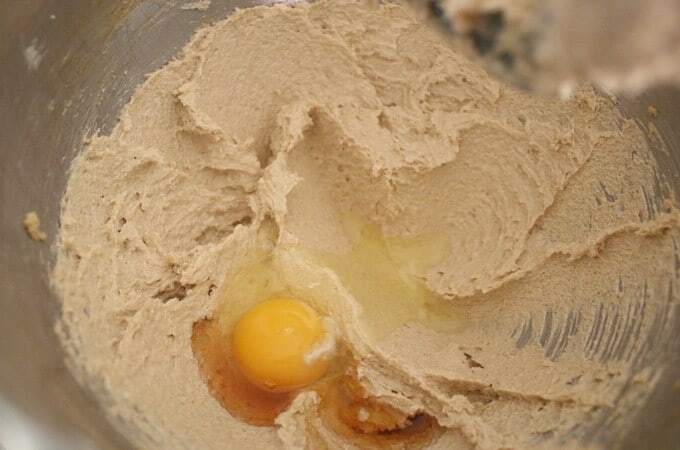 Add in the egg and vanilla extract beat for an additional 4-5 minutes. 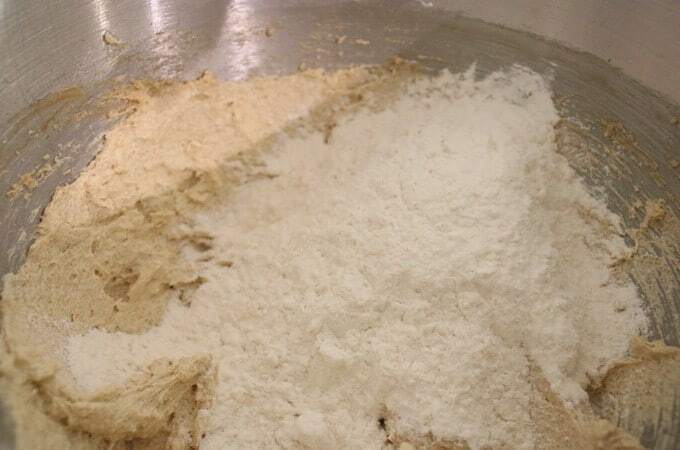 Add the flour and baking soda and mix well. With the mixer on add in the sprinkles until thoroughly mixed. 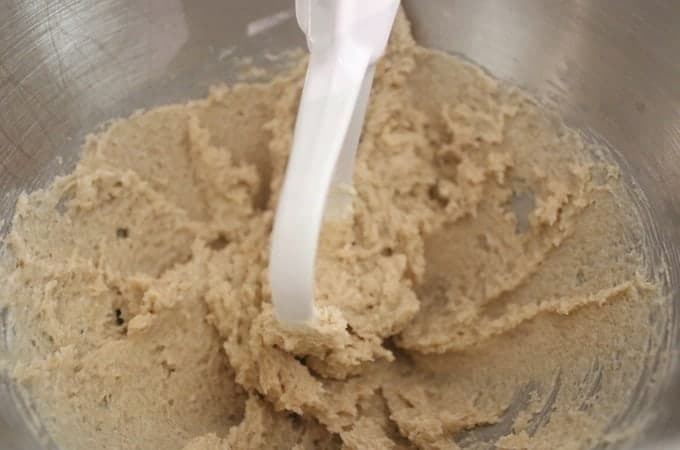 Line a small cookie sheet with parchment paper and scoop the cookie dough out using a dough scooper. Wrap with plastic wrap and chill for 30 minutes. 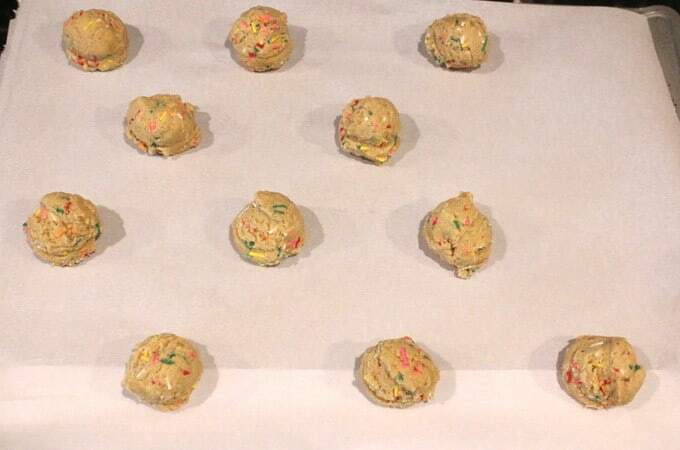 Preheat oven to 375°F and line a baking sheet with parchment paper. Place the dough on the sheet about 2 inches apart. Bake for 10 minutes. 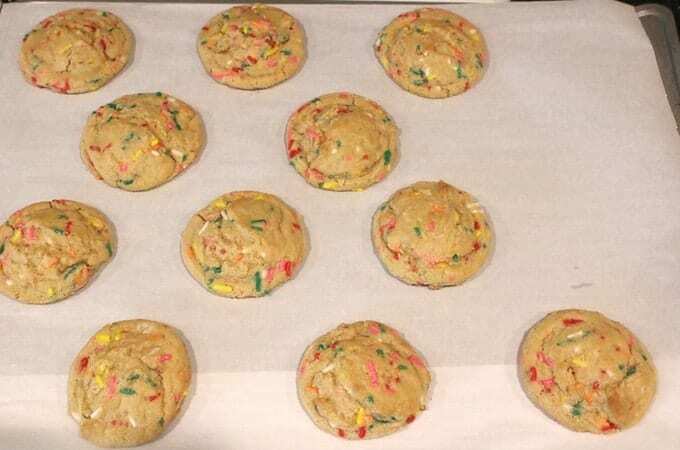 Once the cookies are done baking take them out of the oven and bang the cookie sheet two times on the stove or flat surface. This helps the cookies spread (I was taught this at a resort I worked at in Palm Beach) Enjoy! These cookies are so much fun and they taste so good!